Technology has never been more intuitive than it is today, and with more innovations happening around it’s only getting better. The simple technology, flexible business models and smart echo system will change the food industry drastically. It’s up to us to decide how to use innovations to change the world of food for the better. 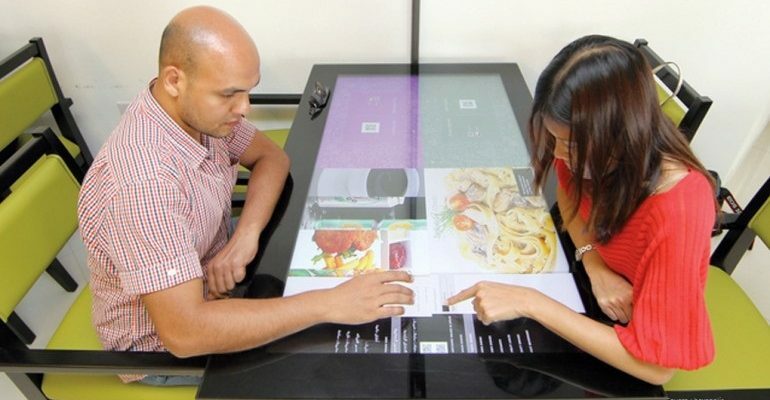 After the arrival of mobile devices on the table, online reservations, social media, and new payment methods with smart table top technology has penetrated in the food and restaurant industry like never before. As we move ahead both the patron and the industry is leveraging the mobility and cloud computing enabled services for better experience. The customer facing technology helps customer at every step of their dinning plan. It allows restaurant patrons to find restaurants, rate them, and decide where to go out to eat in more seamless manner. The growing demand of digital customer doesn’t end at restaurant search and rating it, they want more to do at every step of their dining experience. Offering a comfortable wait time once customer arrives the restaurant, giving them flexibility to roam around or do whatever they like to do during the wait time. Once their turn comes just notify them via notification in application that too real time, this makes them really happy and opens up a new means of communication with them. With smart solution to ease the wait time, certainly there will be no long queue of hungry patrons standing around the host stand waiting for a table to open up. Still they are eager to know how long the wait is. The patron will appreciate the option to tap on their phone to find out how long the wait is, even you could give them a tool that allows them to check before they arrive. When it comes to placing the order the choice varies from customers to customer, few wants to order as soon as they arrive and other wants to get settled before even picking up the menu, how about having a tool allow your waitstaff to be table-side when customers are ready to order and to get those orders and sync with the back- end system of kitchen in real time. It means there’s no more mistake to happen around what someone ordered. After a delicious dining experience the customer would love to give great feedback about the restaurant, providing them an interactive tool to talk about you on social world will persuade other patrons to find your business through the news and good reviews they see online. Social media is an extremely powerful marketing tool for most businesses—especially restaurants. One can use it to gauge real-time customer experiences when someone uploads a photo or shares a review (positive or negative) online. It’s time to think about some smart customer centric solution extension of your existing solution. Test out the tools that make sense for your suit to see what works. The sooner you jump in the better, as your competitors are surely contemplating doing the same!